Situated on the beautiful north-west coast of Crete in the village of Agios Georgios, near the town of Kissamos, the newly built Elation villas have been designed with luxury holiday living in mind and have many innovative architectural and environmentally friendly features throughout. The six individually designed villas enjoy a privileged hillside position overlooking the stunning Gramvoussa peninsula and the turquoise waters of Kissamos Bay and are surrounded by lush olive groves. There are many unspoiled beaches within easy reach and in the nearby town of Kissamos, there are numerous shops, cafes and tavernas. This ideal location also means that you are close to many of the highlights of Western Crete. Situated on the beautiful north-west coast of Crete in the village of Agios Georgios, near the town of Kissamos, the newly built Elation villas have been designed with luxury holiday living in mind and have many innovative architectural and environmentally friendly features throughout. The six individually designed villas enjoy a privileged hillside position overlooking the stunning Gramvousa peninsula and the turquoise waters of Kissamos Bay and are surrounded by lush olive groves. There are many unspoiled beaches within easy reach and in the nearby town of Kissamos, there are numerous shops, cafes and tavernas. 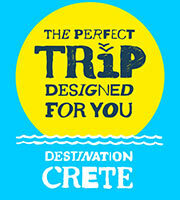 This ideal location also means that you are close to many of the highlights of Western Crete. Perched on a hillside along the beautiful north-west coast of Crete close to the town of Kissamos, Elation Villas offer panoramic views of the Gramvousa peninsula and clear blue waters of Kissamos Bay, with the White Mountains to the south providing a spectacular backdrop. The gated property is surrounded by lush olive groves and endemic flora, including thyme and rosemary. Three of the villas are built around an old Chapel which dominates the hilltop while others cascade down into the foothills. The largest of the villas in the complex above Kissamos Bay, La Mer truly embraces the concept of Cretan coastal living. Crafted out of local limestone and blending seamlessly into the shoreline landscape, Villa Sand offers discreet and stylish accommodation in a peaceful, natural environment, just a few meters from the warm waters of the Aegean. Rocks in front of the villa light up at night, creating a magical shoreline aura as you dine al fresco or enjoy a glass of Cretan wine. Elation Villas brand new stunning five-bedroom villa Pebbles offers high-quality, contemporary Cretan living beside the turquoise waters of the Aegean Sea. Located overlooking Kissamos Bay and just a few metres from the water’s edge, this is the largest of the two Elation beachfront villas. Pebbles sleeps ten guests and offers a well-positioned base to explore Western Crete, whether taking a boat out to Gramvousa or Balos, dining in local fish tavernas, visiting nearby beaches such as Falasarna or exploring island’s gorges and archaeological sites.